Insight Review 2019: Is Insight a Good Hosting? 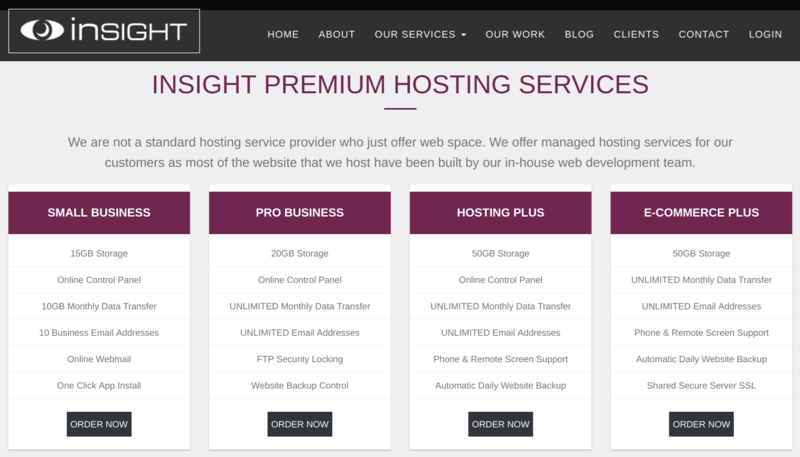 Along with website design and associated services, Insight offers managed web hosting services to startups, SMEs with small websites, and companies with e-commerce websites. Insight Hosting is the web hosting brand of Dublin-based Insight Media. I’ll refer to them simply as Insight, just like they do themselves. While Insight is interested in becoming a global hosting company, its current focus is on its native Ireland, and it mainly hosts websites it has built bespoke for its customers. 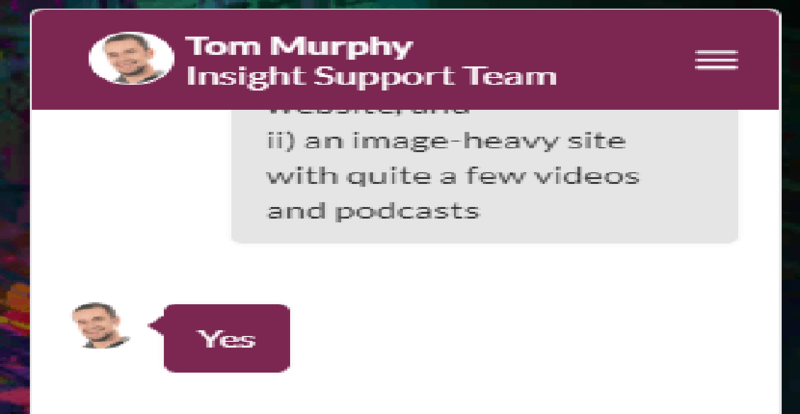 The Insight website is in English. This review focuses on the “Small Business” hosting plan, which is one of the four managed-hosting plans that also includes Pro Business, Hosting Plus, and E-Commerce Plus. Ideal for startups and SMEs with small websites, this starter plan includes mailbox autoresponders, online webmail, junk mail filters, and an online control panel. If you are just starting out with hosting and don’t have coding skills, setting up a website can be a tough task. But Insight takes care of it by offering you two website builder plans – Standard and Pro – which you can buy at an additional cost. The Standard website builder plan has a user-friendly interface and comes with 50 ready-to-use templates. If you need e-commerce functionality with unlimited bandwidth and unlimited pages, then the Pro plan is your best bet. Although the monthly prices might seem a bit steep to many prospective customers, the feature-rich hosting plans do match the industry averages. You get a free domain (for the first year) when you opt for an annual plan, which is a way for you to save some money. And you won’t worry about making an annual commitment when you hear about the 30-day money back guarantee that will get you out if it all goes wrong. In terms of self-help utilities, the company has an FAQ section, a blog, and a knowledge base (but you have to dig deep to find it). For local managed-hosting in Ireland, Insight Hosting could be exactly what you’re looking for. Wondering how Insight stacks up against other Web Hosting companies? Enter any other Web Hosting company and we will give you a side-by-side comparison.